Our beloved Delhi is a melting pot of cultures and no amount of hatred for ill managed institutions or lack of management by the government is ever gonna make us fall out of love for this swaggerful city! One of the best things about Delhi is its outstanding food and the way each culture has been recreated and revamped to suit the ever-hungry Delhiites. One great example of such diversity is the brilliance of Rajasthani culture that Delhi has tried to make its own! 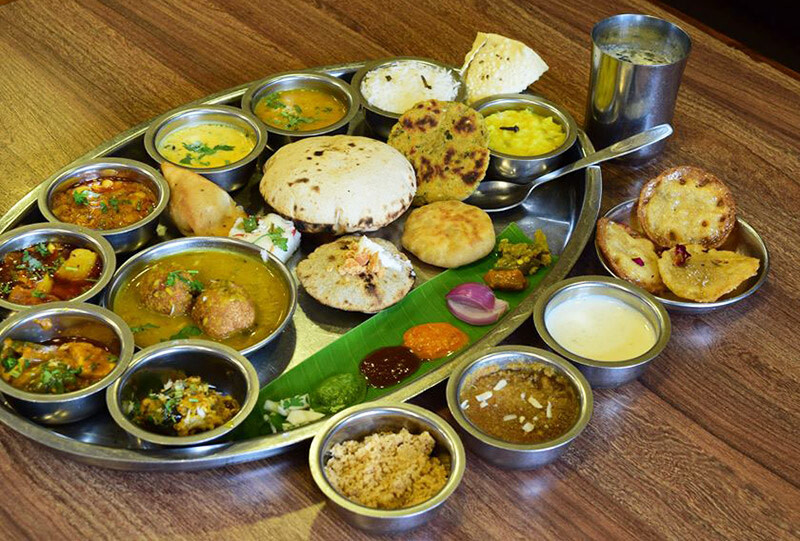 The typically famous Rajasthani food served in thalis is always popular among the city’s denizens and we’ve tracked down 4 stellar places you can head to for your loaded Rajasthani thali! This place is as famous as it gets! 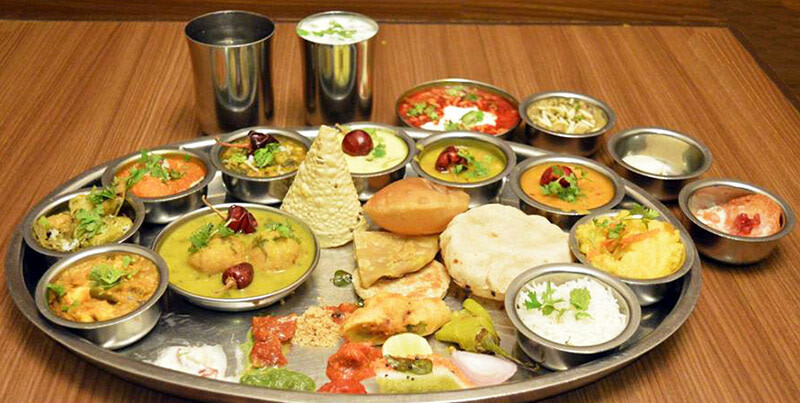 For every vegetarian in the city, Suruchi is the final stop for lip-smacking food. Period! Located in Karol Bagh, this place serves unlimited food at a limited price. What more could we want from life?! 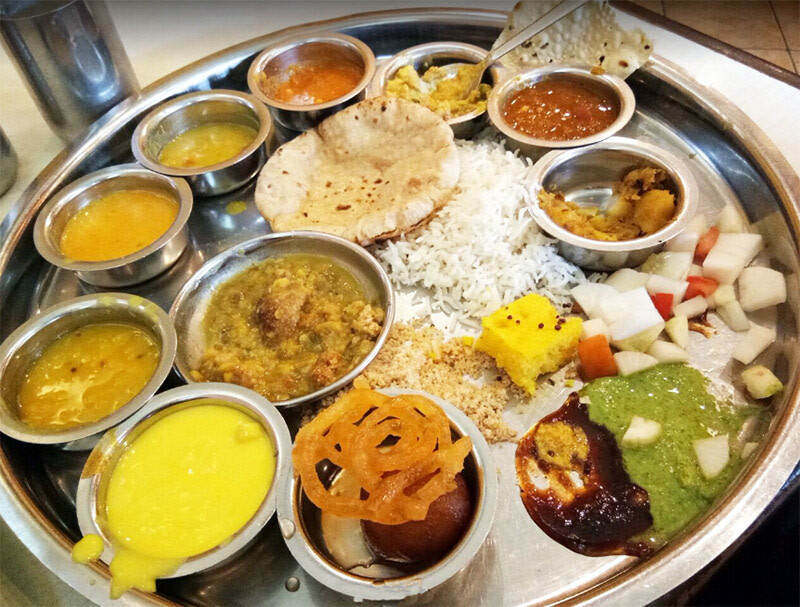 This place also serves some amazing Gujrati and fast food options, but their Rajasthani Thali has always been the clear winner and one of our faves! This place outdoes every other place when it comes to hospitality, taste and service alike. They apply tika on the forehead of each patron who walks in, and make you wash your hands on the table itself. 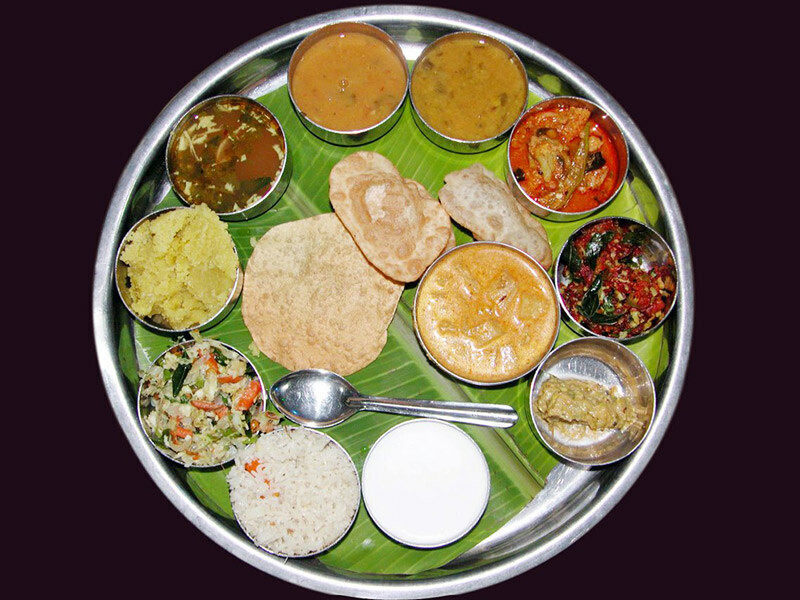 The menu comprises only a thali, but the plethora of options within that thali is enough to blow your mind away! Serving one of the most on-point Rajasthani flavours you’ve tasted, this place checks all our boxes for a traditional Rajasthani feast! We’ve been visiting this ages-old restaurant in Noida for the good part of a decade and have never returned disappointed! With just options of a Rajasthani thali for lunch and dinner, they serve unlimited lip smacking food and feed you till you give up! The menu keeps rotating every day along with the choice of dessert. The best part about Thaal Vaadi is the prompt service where the servers communicate with their hands with each other rather than through words! We definitely recommend this place to y’all! Another jewel in the famous Connaught Place, Rajasthali, as the name suggests, serves some amazing Rajasthani thalis. With a variety of options in vegetables, rotis, curries and desserts, this place deserves a mention and a visit if you’re hungry and still want your food to be pocket-friendly! Although the ambiance isn’t overly inviting, the food more than makes up for it! With a plethora of options available to Delhiites, it’s time you went and indulged in one of your Rajasthani guilty pleasures! Khamma Ghani y’all!